On this, our 12th episode, our guest is Kristin Clifford. 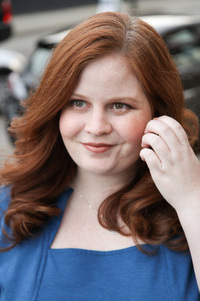 Kristin is a Chicago-based comedian who has opened for Cameron Esposito, Todd Barry, and Adam Cayton-Holland. She is a cast member of the prestigious Lincoln Lodge, the nation's longest running independent stand-up show. She has appeared in the Just for Laughs Festival, Limestone Comedy Festival, Crom Comedy Festival, All Jane Festival, and the Comedy Exposition, and is regularly booked at clubs and shows throughout the Midwest. You may have seen her mentioned in publications like the Chicago Reader, Chicago NOW and many more. You can find her website at www.kristinclifford.com. You can follow her on Twitter at www.twitter.com/kristincliff. As I now have an Amazon Associates account. I'll be posting links to Amazon on the homepage, www.therobburgessshow.com. If you click the links and then purchase that item, I understand I get a small bit back in return. Thanks for the support! 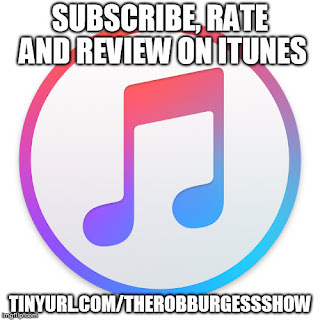 Help the show reach a wider audience by rating, reviewing and subscribing to the podcast on iTunes at tinyurl.com/therobburgessshow. Shouts outs and appearances on "Sounding Off"